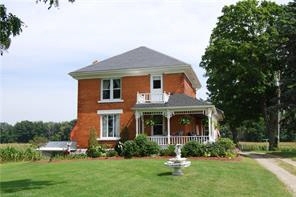 Description: Nicely updated country farm house located on .60 acres, just north of the Hamlet of Mt Salem, a short drive to Aylmer, St Thomas, Tillsonburg and the 401. Also very handy to the Beaches of Lake Erie. Features 5 bedrooms, tastefully updated bath, spacious rooms and tons of character. Slate roof recently installed on main portion of the home, with steel and shingles on the balance. Enjoy country sunsets from the privacy of your covered front and side verandas. A rare find in today's marketplace, and a wonderful home for a large family. Specializations Residential, Multi-Family, Commercial, Industrial, Farm, Recreational, Land - Whatever I can do to help, I'm your expert.